The 1st and 2nd Daedalus Bf-109G-6s are posted! 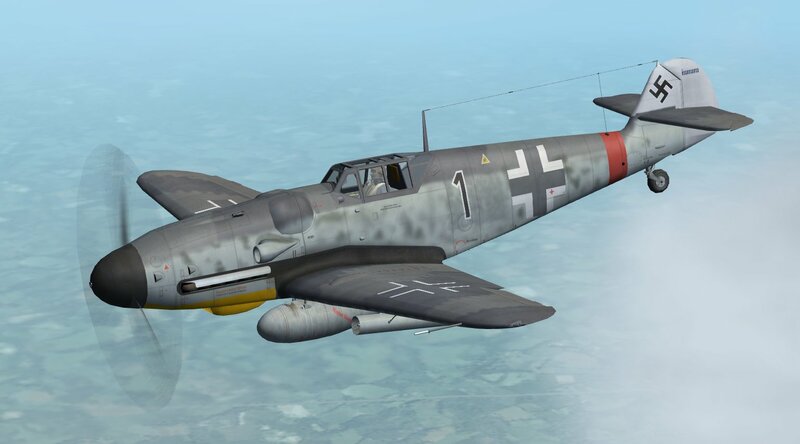 Thread: The 1st and 2nd Daedalus Bf-109G-6s are posted! Hi all, these are more different versions of the Bf109G-6. 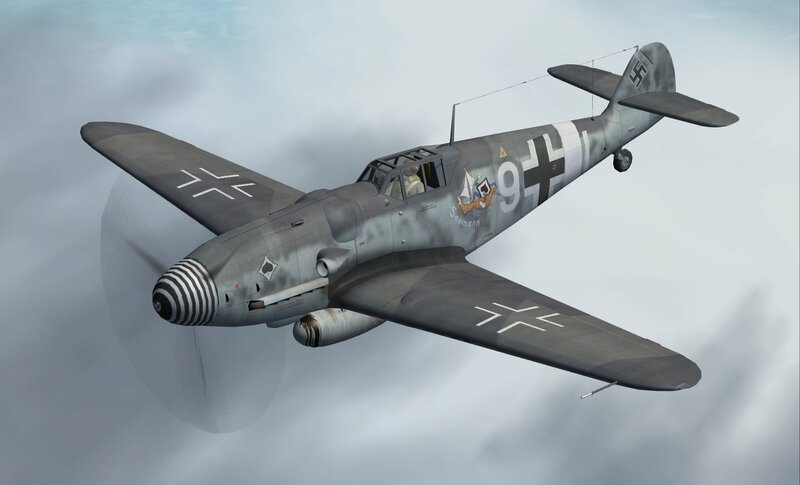 Be sure to watch for our next release which will be the Bf109G-6/R6 with 20mm under wing gondola cannon. Unit photos and Knoke's autobiography around this time show drop tanks and W.Gr. 21 rockets were used. The .dp file reflects this. 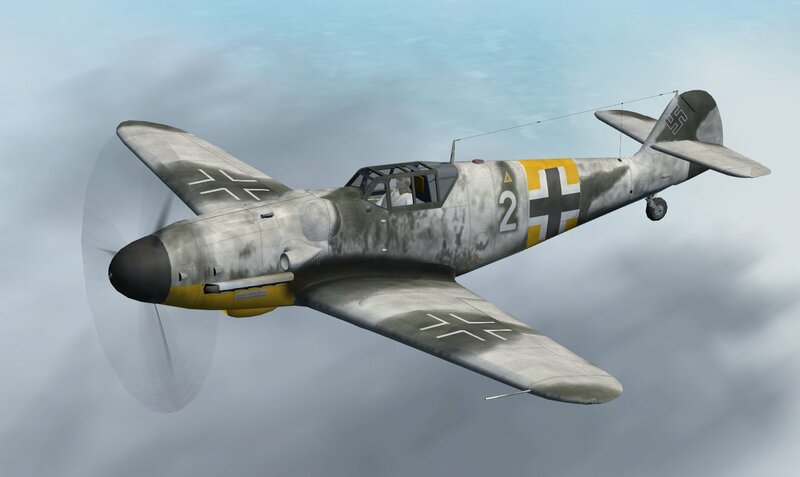 There is no "standard" Bf 109G-6, as the production run spanned 2 years, it underwent many modifications and updates along the way. So each model we have created has it's own unique features. Pstrany developed the models using Paul Rebuffat's Messerschmitt model - with permission - as a starting framework and updated the shape, and added a plethora of details, new parts, and ideas. Pstrany also developed the models for the drop tanks, weapons and racks. Captain Kurt created paints for each, the 2D instrument panel, the individual .dp files, the air files and the aircraft.cfg files. Mav SCASM edited each model so that they have animated wing slats, drop tanks, and other features, as well as optimizing models for the best possible framerates. Mav also developed the idea for the 2d panel to be offset for the Revi gunsight to match the CFS2 reticle. We have all benefited from the assistance and guidance of others in the community, Special thanks to Wolfi and Huub Vink for their kind assistance and to all who have contributed their knowledge directly and indirectly. A photo of this plane shows no drop tank but unit photos around this time show drop tanks were carried. The 7./JG53 was flying some long range missions at this time so it is logical it would have actually used a tank when needed. The .dp file reflects this. Unit: W.Nr.412605 10./JG54 Sivierskya Russia, winter 1943-44. Pilot: unknown abandoned and captured by the Soviets. Unit photos around this time show no drop tanks or ordinance were carried. Because the Luftwaffe fighter units were based so close to the front in the East, they regularly flew without a drop tank. The .dp file reflects this. Again, I love the details of the model, especially the oil stains on the drop tanks...that's a nice little detail touch! These newest additions are fantastic. However, and I hope I'm not starting to have "senior moments", I can't to seem to find the latest dtd rockets and mounts. Gotta be somewhere, just not putting my finger on them. They are part of the Messerschmitt Bf-109G-6 5./JG11.zip. Thank you Sir, that's why I didn't see them, they were right in front of me the whole time. there is a conflict that prevents free flight from loading. Tracked it down that far using dp files. removed the vw_190a ones and free flight loads with no problem. The other problem for me is that the wgr21 rockets disappear instead of firing. Drop tanks do drop. Thank you Team Daedalus. Love the gunsite in the VC, it's fantastic! Yeah, I had that problem at some point too. As I recall for me it was a problem with missing dp files. There are two dp files in the ZIP file herewith, put those in your OBJECTS_DP folder and hopefully that will do the trick. Let me know if that doesn't fix your issue, and I'll get with Captain Kurt and see what else we can come up with. The dps you posted have the same date/time stamp as the ones that had installed from the file included with the planes. I overwrote the others and cleared the CDP and DAT files. Same problem- rockets are in the tubes but just disappear when fired. If it is just me with the problem don't worry about it, it could be some other conflict peculiar with my setup or system. Nope, there's an omission in the dp gunstation code. These should fix it. Please test them out. They work for me but I want to be sure it's working for you too. Thank you! They worked for me! Awesome, I'm updating the Library downloads now.